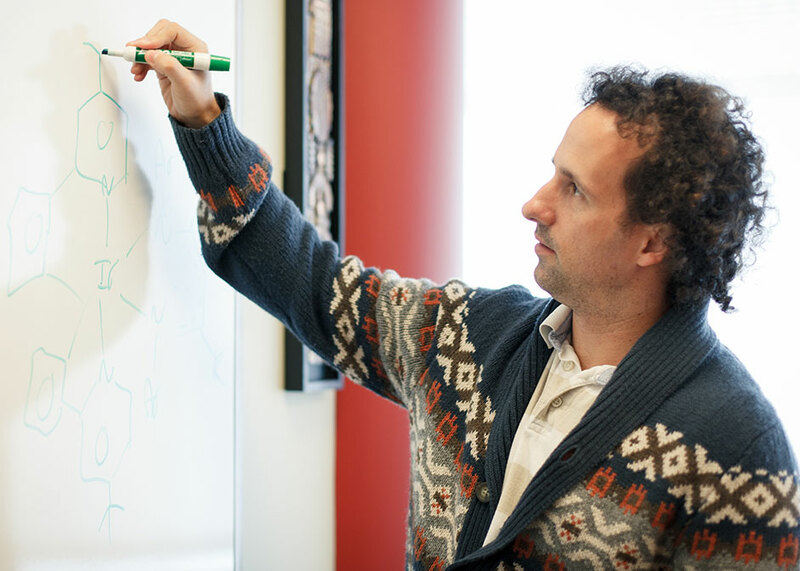 In the past three years, within the Department of Chemistry in the College of Natural Sciences and Mathematics, junior faculty have demonstrated a track record of success in receiving the highly prestigious National Science Foundation’s CAREER Award. Since 2017, five faculty members in the chemistry department have received a CAREER Award. This number of awards is a testament both to their excellence in research as well as the culture of support within the department. 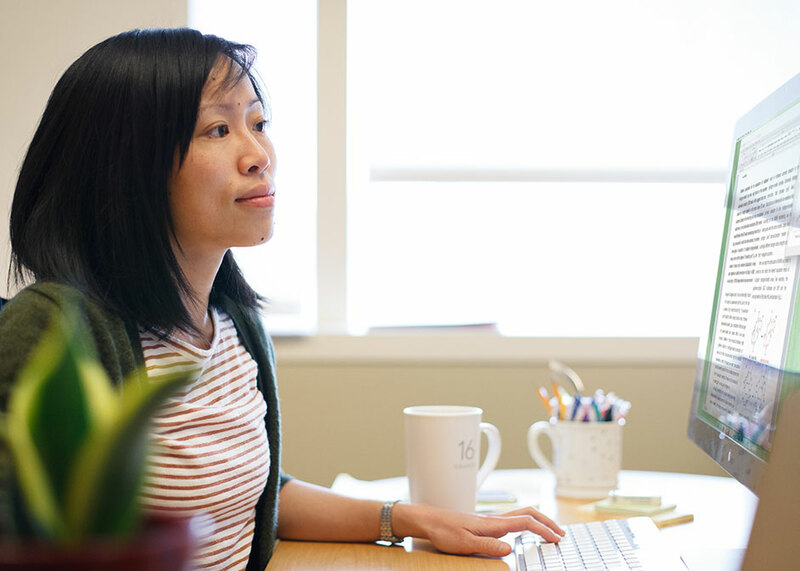 Awarded faculty members include Jerry Yang, Judy Wu, Loi Do, Jakoah Brgoch and Thomas Teets. 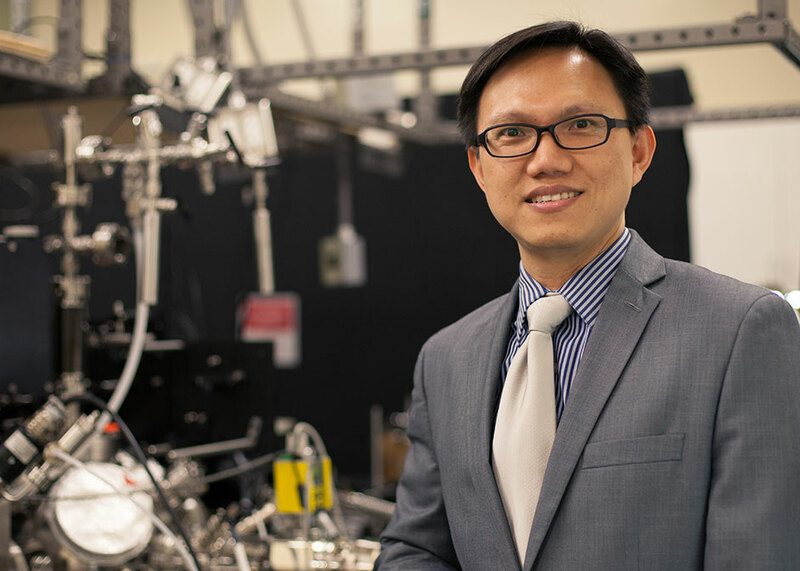 Ding-Shyue (Jerry) Yang received a five-year, $570,332 CAREER Award in 2017, which funds his research looking at the interaction between different molecules and solids with different surface affinities, as well as their dynamics at the interfaces. To do this, he uses the ‘pump-probe’ methodology incorporated with electron diffraction to produce a 'molecular movie,' which has the capability to image molecular motions and structural transitions on a wide range of time scales as short as less than a thousandth of a billionth of a second. Judy Wu received her CAREER Award in 2018, for the amount of $585,012. Her research studies the link between aromaticity and hydrogen bonds. Although both of these concepts are well-established in chemistry textbooks, they have largely been considered separate ideas. 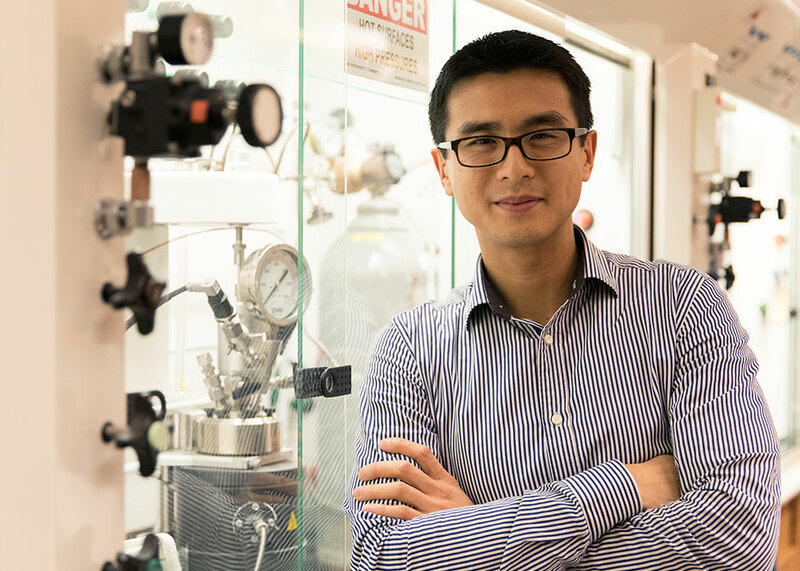 Wu’s research is exploring ways to control hydrogen bonds and other noncovalent interactions using classical electron-counting rules of aromaticity. “The practical impact is, if we know how to control the strengths of hydrogen bonds more precisely, we can improve the designs of functional molecules and materials,” Wu said. In 2018, Loi Do received a $626,300 CAREER Award. This grant supports his efforts to develop new methods of producing a type of plastics called polyolefins, which are used in everything from plastic bags, paints, sporting goods and auto parts. Do’s research is focused on developing methods that are economical, sustainable, and able to be used in an industrial capacity. 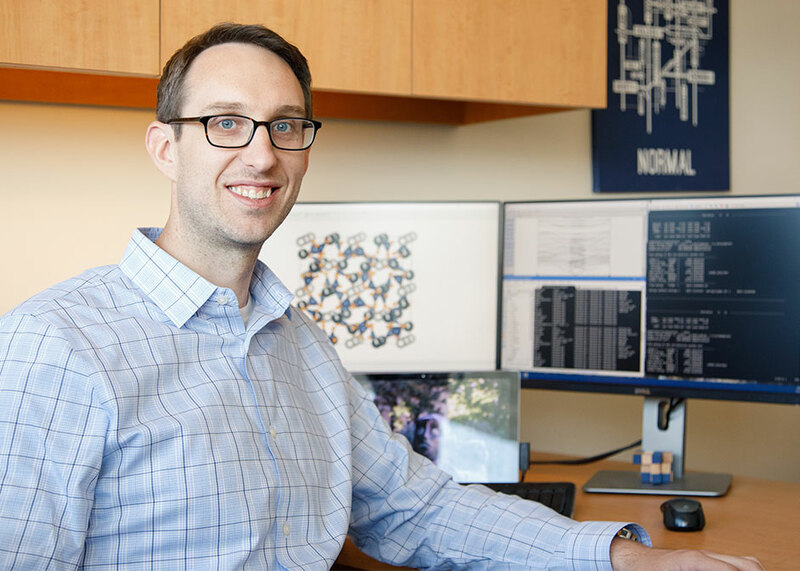 Jakoah Brgoch received a 2019 CAREER Award for the amount of $656,000, which supports his work developing and synthesizing energy-efficient materials, such as those used in LED lighting systems. To do this, Brgoch’s research group combines machine learning, data-enabled algorithms, and synthesis methods. Thomas Teets was awarded a 2019 CAREER Award, for the amount of $589,000. This grant supports his work on developing and synthesizing luminescent compounds, such as those used in organic LED displays. The number of junior faculty winning CAREER Awards is an indicator of a culture of departmental excellence. Every year, faculty within the chemistry department are recognized with national and international honors.